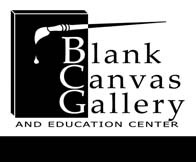 Blank Canvas Gallery and Education Center in Park Rapids announces well known wood carver and carving instructor, Wayne Hankel, will be teaching a three day wood carving class on August 22nd, 23rd and 24th at the gallery located at 311 Main Ave. S. in Park Rapids. The class projects will utilize carving cut outs pre-cut by the instructor. Class time will be 9:00 AM to 4:00 PM each day. Wayne Hankel has conducted classes in wood carving for over 20 years. His primary interest centers on realistic wildlife carving but he also does chip carving and relief carving. Wayne is the recipient of the 2005, 2006 and 2007 NCCA Apprenticeship program to serve as Master Carver in teaching wildlife subjects. Participants will learn proper wood carving techniques and should be able to carve 2 or 3 realistic wildlife carvings during the three day class. P.O. Box 721, 311 Main Ave. S.